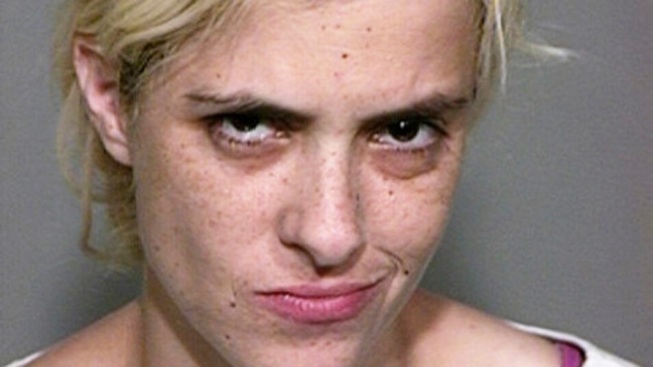 In this booking photo provided by the San Bernardino County Sheriff's Office, Samantha Ronson poses for a mug shot August 1, 2011 in Barstow, California. Samantha Ronson will face a judge over her driving under the influence arrest earlier this month. On Tuesday, Access Hollywood confirmed that the celebrity DJ has been charged with two misdemeanor counts – for driving under the influence and driving with a blood alcohol level above .08. The maximum penalty if Ronson is convicted is 6 months in jail and a $1,000 fine. As previously reported on AccessHollywood.com, Ronson was arrested on Aug. 1 on suspicion of driving under the influence. The celebrity DJ was stopped outside of Baker, Calif., at 10:31 AM for speeding in her black Porsche. She was clocked going 89 MPH in a 70 MPH zone, California Highway Patrol said in a statement released to Access Hollywood at the time. After Ronson was stopped, law enforcement officials said she displayed signs of alcohol intoxication and was given a series of field sobriety tests and then arrested. CHP said Ronson was "cooperative" during the booking. TMZ first reported news of the charges.